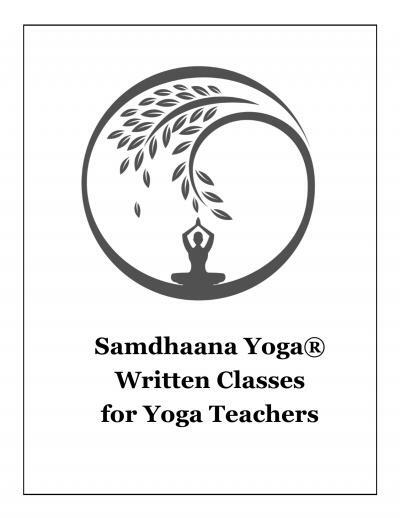 Yoga teachers, need a class? Buy one here! Our written classes, each of which has been created and taught by Melody White, provide detailed step-by-step instruction that you can use to teach the class. They are available as downloadable pdf documents. Written classes are half price for our subscribers (login to your account before purchasing to receive your discount). Also now available, The Big Book of Yoga Sequences! Many of our written classes have videos of the full class as well. Videos of our classes are available with a subscription to our Online Classes. Class Description: The energy of Peace and the energy of Joy. Basic openings addressed, with standing poses of Tree, Standing Splits, and Big Toe, variation 1. Class Description: class includes a floor mandala with focus on twists and external hip opening, followed by a standing external hip series that includes Warrior 2, Triangle, Standing Goddess Pose, standing wide leg fold, seated wide leg fold and Leg Up the Wall Pose. Class begins in Supported Fish and ends in Leg Up the Wall Pose. Class Description: A 75-minute class that begins with movement and ends with stillness.